The first installment on subject above, acknowledged the provincial economy concept being emphasized in the devolution agenda of the second republic and called for a leadership of state universities, to champion innovative activities towards a technology-based economy in their respective host provinces. Recognizing that a university, is a centre for research knowledge production, generation, exploitation and "entrepreneurship-ization", the call is not misplaced. This second installment further unpacks the state university leadership role with practical suggestions. The concept of a provincial economy derives from a province, led by its provincial council as the investment approvals authority, exploiting to maximum economic benefits its full stock of resource endowments. Going by the experiences of the developed world, a technology-based economy delivers huge economic returns-on-investment while technology-based innovation and by close-association, "technology literacy", are key to sustained economic growth. Development of a tech-based economy will involve foreign technology acquisition and reverse engineering (nurturing and indigenization), local technology upgrading and new tech development. These activities demand technological research, an area for universities. Therefore, state university leadership is demanded, first, in developing a province-wide understanding of the resource endowments in their host province and synthesis of key economic activities and, second, facilitating technology acquisition, reverse engineering and or technology innovation activity in support of new business venture creation or existing companies. It is an urgent issue for the leadership of state universities to be agile in setting up a mediator unit in their respective institutions whose immediate task would be to develop and implement a provincial Technology Intelligence System (ProTIS). The ProTIS is for the purpose to capture information about resource endowments in the province, suggest key economic sectors, and point decision makers to current and emerging technologies and trends with impact in the identified key economic sectors and to deliver the information in a usable form to the decision makers in the provincial council and companies operating in the province as well as resident budding entrepreneurs and for university internal use. Only when such a system as proposed here is in place then can genuine interaction between provincial councils, already existing companies, budding entrepreneurs, local and foreign investors and the provincial state universities proceed towards the achievable goal of a sustainable provincial technology-based or knowledge based economy. By way of example, here a brief discussion around Matebeleland North province. 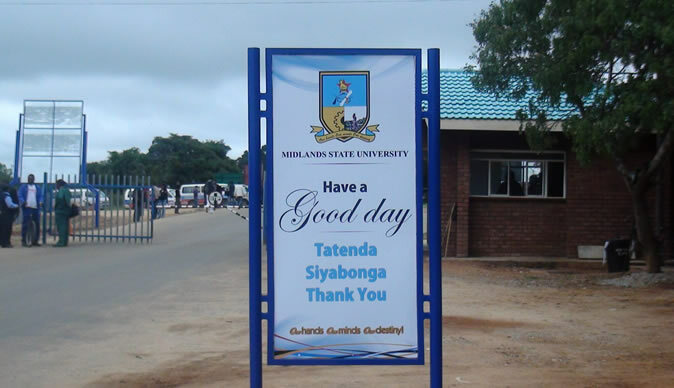 The Matebeleland North province is host province to Lupane State University, affectionately known as LuSU, itself located in the provincial capital Lupane. LuSU is a core element of a provincial intellectual infrastructure rendering it an essential factor in building technology-based industries and competitive firms. The province is home to the Victoria Falls, an international tourist resort and a celebrated historical area being one of the seven natural wonders of the world. It is also the home of Hwange National Park, the biggest wildlife conservancy in the country and one of the biggest in the Southern Africa region. The province boasts of vast deposits of energy minerals which include coal, uranium and coal-bed methane gas. There is also extensive potential for timber production and furniture manufacturing since the province is endowed with teak hardwood forests. From the above brief profile, the LuSU ProTIS would indicate the resources and respective key economic activities in LuSU host province as energy, timber and tourism. Naturally, LuSU leadership would prioritize human capital development and technological research and development supportive of these key economic sectors. LuSU should give provincial leadership in foreign technology transfer / acquisition and reverse engineering, local technology upgrading and new technology manufacturing either busting expired patents (EPB) representing low- hanging fruit or under license, or from new intellectual property developed by LuSU economic- sector-specific research institutes. For example, a tourism sector specific research institute at LuSU could be engaged with the question, how to improve tourist experience so as to grow by 80% the return tourist base in Matebeleland North? An example research focus could be assistive technology to improve tourism experience for the physically challenged. Honest pursuit by LuSU to answer the question how to increase local natural gas market share to 90% in 2020 would ignite a series of economy growing activities led by LuSU!! A question from the provincial council to LuSU on non-fuel uses of coal would mark the beginning of a new economic sector. A question on future survival of the Big Five (lion, elephant, rhino, buffalo, leopard) in Hwange National Park would cause LuSU to initiate research on captive breeding of these animals with positive impact on tourism and allied sectors. The ever present local need for smart machines in mining as well as timber product production would justify mechatronics, signal processing and control research initiative. A benefit to LSU in terms of human capital development will be the realization of research- informed or research-led curriculum, teaching and learning. For example, LSU research on technologies for sustainable teak hardwood forest management would naturally demand human capital development in hardwood forest science and technologies, timber / wood science and utilization. Proceeding this way, LSU will produce relevant human capital for their provincial economy useful also in further production of economically useful knowledge as opposed to human capital development, as presently pursued by state universities, that has prompted industry and the economy to declare them irrelevant graduates. Enock Jonathan is a Zimbabwean Scientist and Technologist readily contactable at enock10jonathan@gmail.com.